The perfect gift for any keen tea drinker. 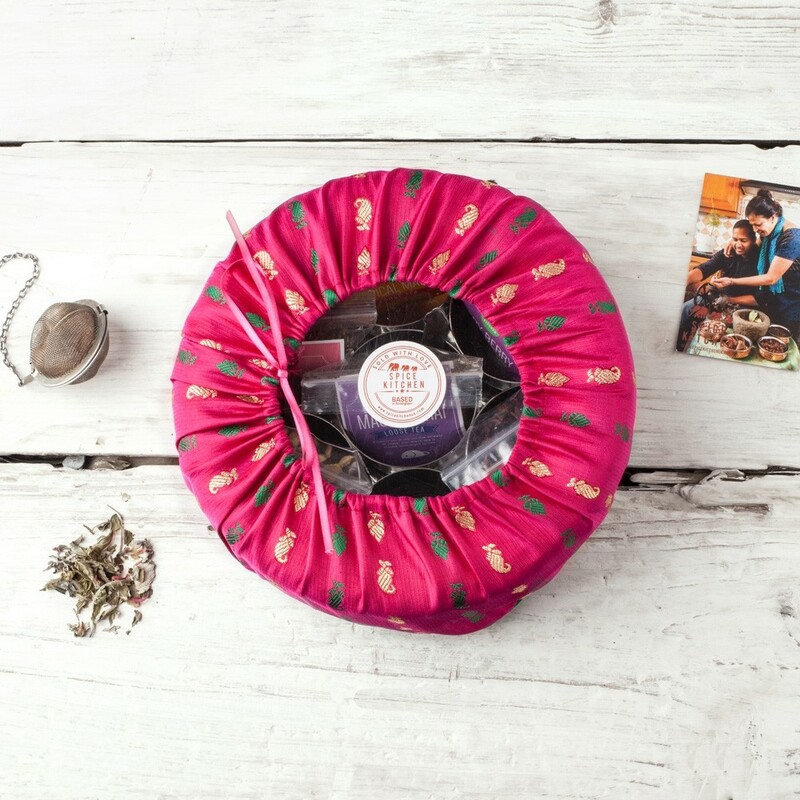 Inspired by the Indian love of tea-drinking, the loose leaf gift set includes masala chai tea, peppermint and rose red bush, as well as several fruity options with a natural taste and incredible aroma. 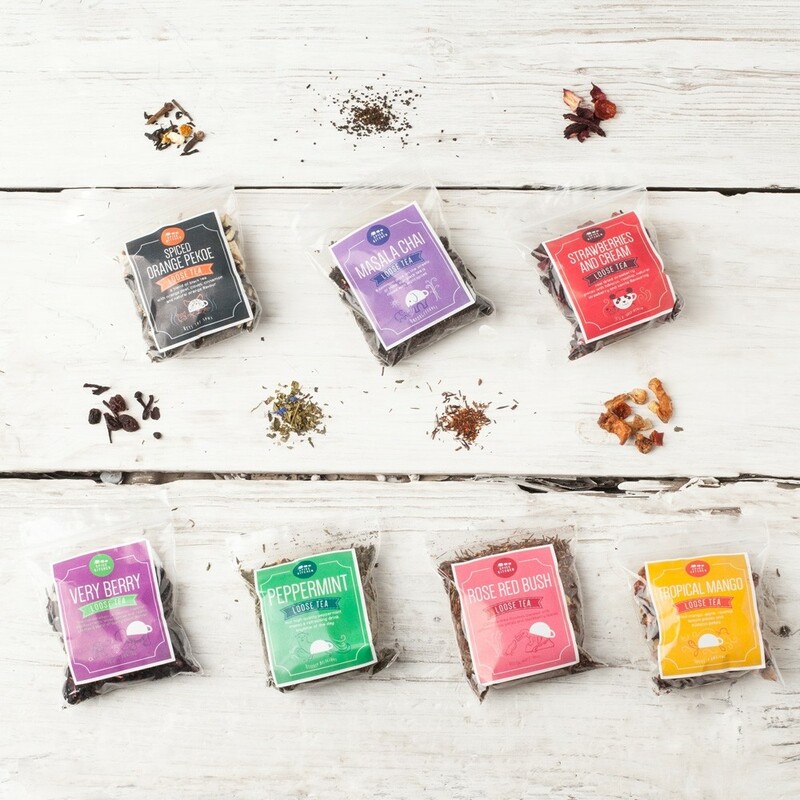 Along with teas sourced from around the world, every set comes complete with a silicone tea infuser called 'Mr T' as well as individual tins to store the tea once in use. It’s the perfect introduction for any foodie wanting to try something new or an interesting option for the seasoned loose leaf enthusiast. Set includes 10g of peppermint tea and 20g of all other teas. Packets make approx. 6-7 cups per tea.